Kathy Andersen will team with Jack Canfield and several leading experts from various industries to release the new book, “The Soul of Success, Vol.1” by CelebrityPress®. Miami Beach, FL – May 26, 2015 – Speaker, Author, Consultant, Entrepreneur, and Coach Kathy Andersen has joined a select group of business experts and entrepreneurs from around the world, along with Best-Selling Author® Jack Canfield, originator of the Chicken Soup for the Soul® series, to co-write the forthcoming book titled, The Soul of Success, Vol.1: The World’s Leading Entrepreneurs and Professionals Reveal Their Core Strategies for Getting to the Heart of Health, Wealth and Success. Nick Nanton, Esq. along with business partner, JW Dicks, Esq., the leading agents to Celebrity Experts® worldwide, recently signed a publishing deal with each of these authors to contribute their expertise to the book, which will be released under their CelebrityPress® imprint. 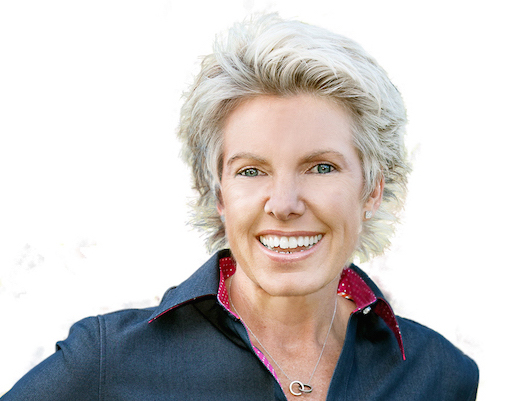 Kathy Andersen is an award-winning author, motivational speaker, leadership and change consultant, success coach, media guest, business person, and social entrepreneur. For almost 20 years, Kathy has helped people transform their visions for change into realities. Kathy holds a master’s degree from Harvard Kennedy School with a focus on international development, leadership, organizational development, and management. Kathy is a Master Class trained consultant in Adaptive Leadership from Harvard Kennedy School, and has also undertaken several executive programs at Harvard Kennedy School and Harvard Business School on management and leadership. A spirited speaker and workshop host, Kathy has spoken at numerous conferences, and held various workshops and retreats throughout the United States and internationally. Kathy frequently appears on national media in the United States speaking on topics including change, leadership, and success. Kathy is a regular writer for the Huffington Post. A portion of the royalties earned from The Soul of Success, Vol.1 will be donated to Entrepreneur’s International Foundation, a not for profit organization dedicated to creating unique launch campaigns to raise money and awareness for charitable causes. The Soul of Success, Vol.1: The World’s Leading Entrepreneurs and Professionals Reveal Their Core Strategies for Getting to the Heart of Health, Wealth and Success is tentatively scheduled for release in the Fall of 2015. Kathy’s clients have included international public and private corporations, non-profit organizations, educational institutions, country governments, Major League Baseball players, equestrian athletes, private philanthropists, and other individuals. Kathy is currently collaborating with Sheryl Sandberg, Facebook COO, and Sheryl’s Lean In foundation to undertake success and empowerment programs for underserved women and girls. Kathy is also managing a Clinton Global Initiative America Commitment to Action to lead underserved youth to success. Kathy’s five-time award-winning book, Change Your Shoes, Live Your Greatest Life, took readers on a journey of personal transformation. Kathy’s second book, Change Your Shoes, 365 Life Resolutions, gave readers an inspirational daily journal to achieve their dreams. Now, in The Seven Soul Shoes of Success, Kathy brings you the “soul shoes” you need to step into the essential powers of success, and achieve your most extraordinary and meaningful successes. Originally from Australia, Kathy “changed her shoes” from corporate high heels to hiking boots after a childhood of sexual abuse by her father left her looking for meaning and purpose. Her travels took her to the richest and poorest countries in the world. Now, Kathy finds meaning and purpose pursuing her dreams and helping others achieve their dreams. Kathy lives in Miami Beach, and calls the United States home. You can follow Kathy on Facebook, Twitter and other social media, where you will find resources to help you “change your shoes” and step into all you desire in your life and in the world. Celebrity Press® is a leading business, health and wellness book publisher that publishes books from thought leaders around the world. Celebrity Press® has published books alongside Jack Canfield, Brian Tracy, Dan Kennedy, Dr. Ivan Misner, Robert Allen and many of the biggest experts across diverse fields. CelebrityPress™ has helped launch over 1500 best-selling authors to date.